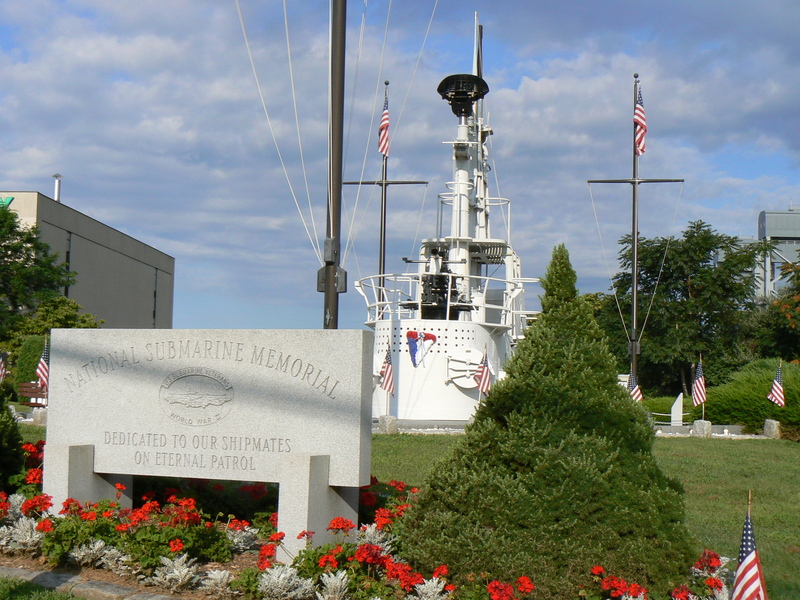 A Groton memorial honors World War II submarine veterans and the more than 3,600 submariners who lost their lives during the conflict. 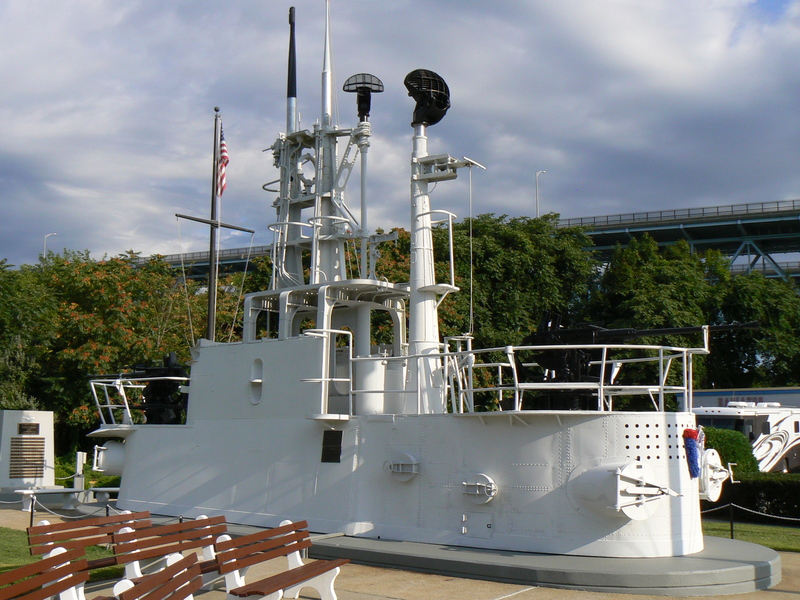 The largest feature of the World War II National Submarine Memorial on Bridge Street is the conning tower of the USS Flasher (SS-249). 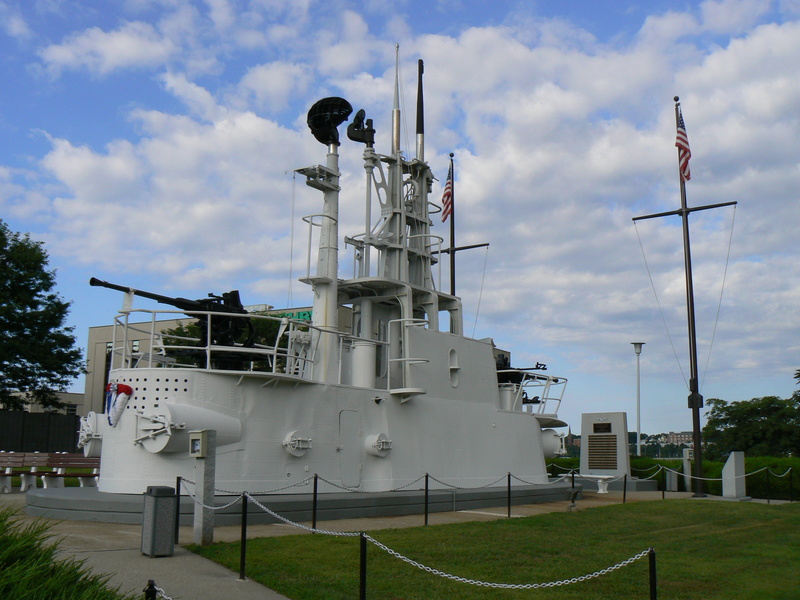 The Flasher, built by Groton’s Electric Boat and commissioned in 1943, was credited with sinking the highest tonnage of Japanese ships (24 vessels and more than 100,000 tons) during World War II. The memorial site also features a Wall of Honor with polished granite panels listing the 3,617 submariners who died in the World War II. 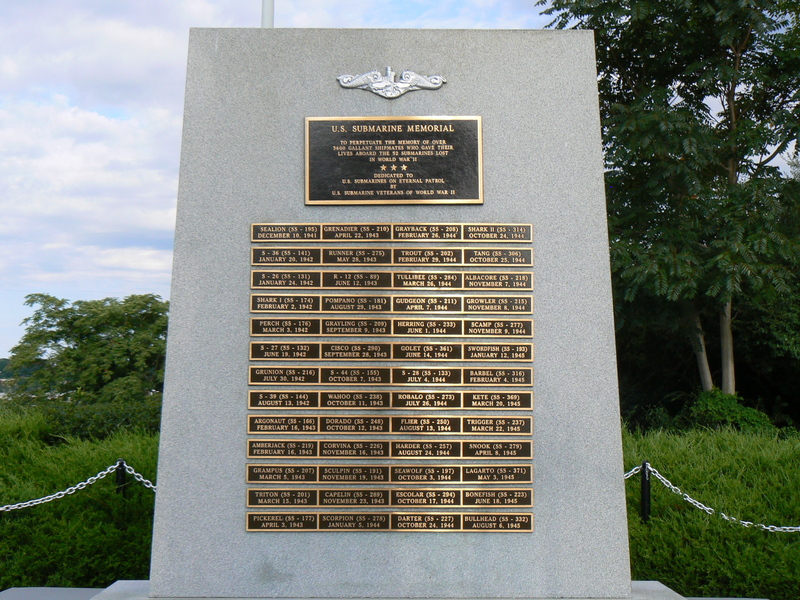 A dedication panel at the center of the wall honors the submariners’ sacrifices and memory. Another monument at the site honors the 52 submarines lost between January 1941 and August 1945. Bronze plaques list the name of the vessel and the date of its sinking. The submarines are also honored with engraved granite panels lining one of the memorial’s walkways. The panels list a submarine, the number of crew members killed and the date each sub was lost. The submarine memorial began with the display of the Flasher’s conning tower in 1964 at a site on Route 12. In 1974, the Flasher was moved to its present, well-maintained location. The Wall of Honor was dedicated in 1994. World War II submarine veterans are honored with a similar memorial outside the Naval Weapons Station in Seal Beach, California.